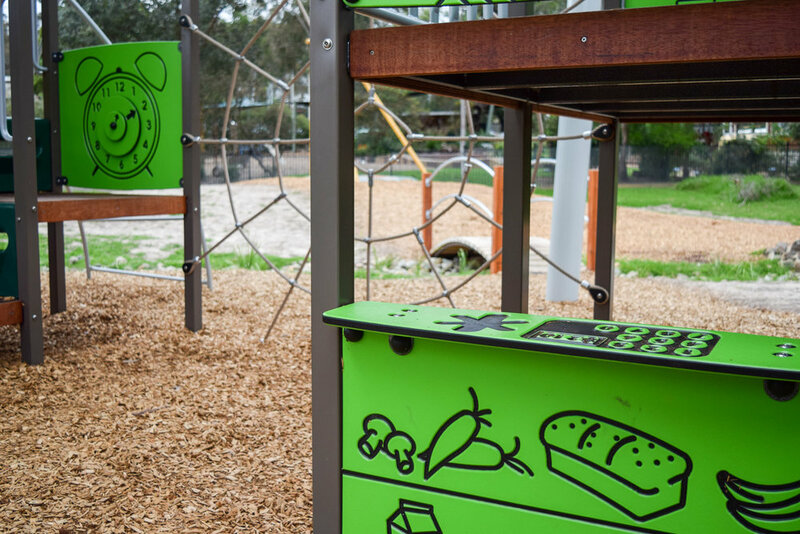 Gordon and Sheila Ferguson Park, Hurstbridge is tucked away just of the main road with a natural colour palette to complement the surrounding landscape. This Park features an Omnitech ‘Extreme’ custom unit combined with a flying fox and two embankment tube slides. The extreme play unit combines monkey bars, play panels, slides and other tradition play activities that all kids are bound to enjoy. Made from durable galvanised Australian steel and locally moulded plastics, this play unit is fun and made to last. 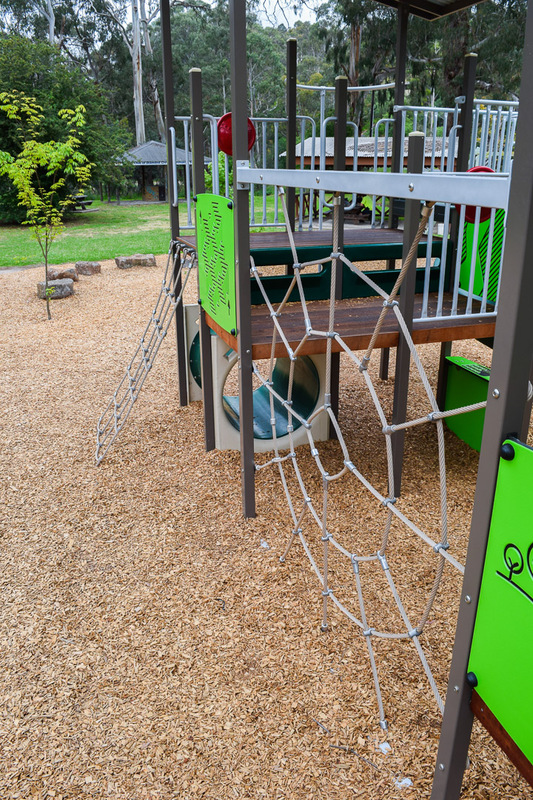 This play space posed an exciting new experience for Omnitech; we not only utilised our skills in installation and design, we also completed our first large-scale landscaping. Using our timber arch bridge, we transformed the site by adding a dry creek bed, as well as raising the level of the site to allow extra fall for the flying fox.